Note these dates in your calendars and come out to meet your Parent Council!! Generally the third Monday of the month, 6:30pm in the Staff Lounge at 679 Prestwick Circle. Special Guests: Music and Phys. Ed. Summer flew this year in a way that was bolder and faster than ever in our house! Hard to imagine it will be our daughters last year at MTS this year! Wasn't it just Kindergarten Orientation? That being said, you and your child/ren may have moved on from our school and group, and if that is the case, please respond to this message to be removed from the mailing list. Hello McKenzie Towne School Families! It was so nice to see you all out at our Annual Muffin Mixer this week! I am glad to have the first week of school under our belt, those mornings are never easy the first week. I wanted to send out a quick reminder that our first Parent Council Meeting will be this Monday, September 11th, at McKenzie Towne School in the teachers Lounge at 6:30 pm sharp. There are some exciting opportunities to support your child's learning this year, and this is a great meeting to learn about those and meet your 2018 parent council. We hope you can make it out, and I look forward to serving as your Key Communicator for another school year. Here's to another year of late night, poorly edited shout outs from MTSPA! Plants that were left behind!! Veggie Fundraiser Pick Up Tomorrow from 3-5pm At MTS!! Veggie Fundraiser Pick Up Tomorrow from 3-5pm At MTS!! Don't forget to come to the school to pick up your order!!! See you there! Very Important Council Meeting This Monday! Why is parent council amazing? Is it the feeling of community you get at the meetings? Is it the insider knowledge you take away from the administrative and teaching teams? Is it having a voice that truly makes a difference in your child's education? YES!! Simply put, it is all of these things and more! Please come out to parent council this Monday, more than ever, our group needs your involvement. Meet us in the teacher's lounge at 630 pm, May 29th. We hope you can make it out this Monday, April 23, to our next parent council meeting! Just a few reminders, MTS pride wear orders are due tomorrow, Friday April 21st. Plant orders are coming soon, so if you ordered some amazing veggies, remember to mark May 25th on your calendar for pick up. We still have a partnership with Allstate, Cobs and Mabel's Labels. 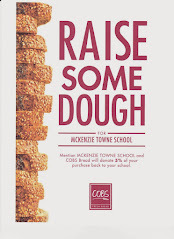 All great ways to support Mckenzie Towne School and the excellent programs and services we get the pleasure of offering the students.